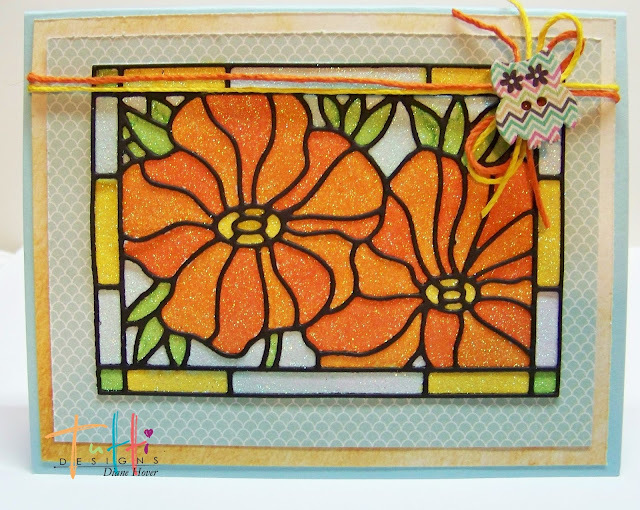 fabulous cards using the Tutti Designs Poppies Stained Glass die. I have two cards today created very different. The first card it full of total 'SPARKLE'! It looks hard to do but it's not at all. then adhered it to a piece of sticker paper. I added a fine white glitter (Cloud Nine) to that and rubbed it in with my finger. Then I simply used my Copics to add the colors. glitter off the tips when done. That simple and it looks great!! I added a few paper layers, hemp cord and a wooden owl button. then coloring on the backside with Copics. It gives a nice soft look. Wow, love these cards, Diane! The glitter works well with this stained glass die. These are just gorgeous Diane! 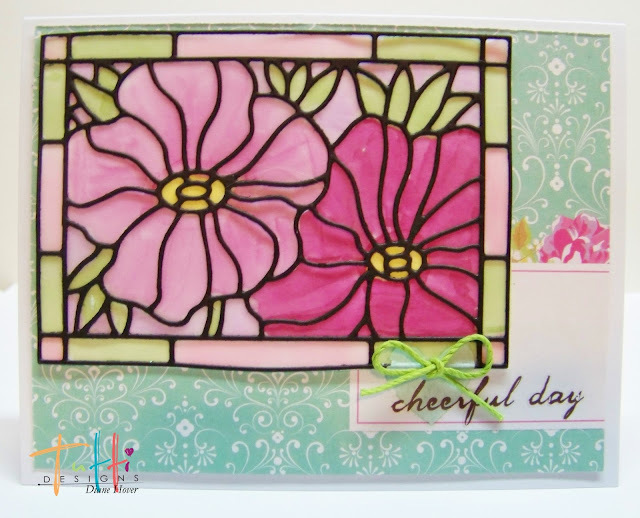 Awesome inspiration using these stained glass dies! BEAUTIFUL! Beautiful cards! I just ordered one of the stained glass dies after seeing yours...lol!! Love the splash of colour, just beautiful!